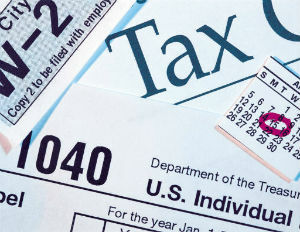 Each year, the IRS releases its list of “dirty dozenâ€ tax scams to watch out for. Among the twelve are “free moneyâ€ and inflated refund scams. Â Scammers will pose as tax preparers and hook unsuspecting victims by promising large federal tax refunds. The scammers use advertisements, fake store fronts and sometimes word of mouth in order to attract their victims. Community groups (such as churches), low-income individuals, and the elderly are common targets. The fraudsters trick people by convincing them to make false claims for fictitious rebates, benefits, or tax credits. They also sometimes file a false return in the victim’s name so that they can receive their tax refund. The IRS says that some victims have complained about losing federal benefits, such as Social Security, certain veteran’s benefits, or low-income housing benefits. The loss of benefits resulted in false claims being filed with the IRS, which provided false income amounts. Choose your tax preparer carefully. A trustworthy preparer will ask for proof of income and eligibility for credits and deductions, sign returns as the preparer, enter their IRS Preparer Tax Identification Number (PTIN), and provide a copy of your return.